Bishop Rueben P. Job helped shape the church's understanding of Wesleyan teachings and influenced what congregants sing at worship. “I have no anxiety about my own death. 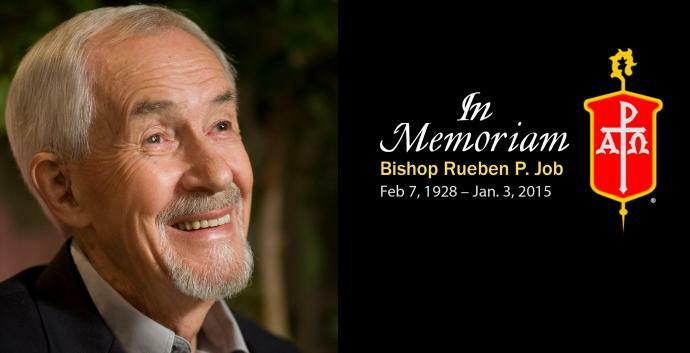 … I don’t know what that’s going to be like, but I have some idea that it will be good because this life is good,” said retired Bishop Rueben P. Job after the publication of his book, “Living Fully, Dying Well,’’ in 2006. Job died at home Jan. 3 at 86 after a long struggle with heart disease. He was a bishop, pastor, author and friend who was not afraid of death and wanted the church to be better prepared to help people deal with the experience of dying. In talking about his book, Job offered the best words of comfort about his own death. “I have no fears at all about death. I think everyone has some apprehension about pain, and in the past, perhaps we did not treat pain well. I think now that’s not true anymore. And even when we did not, I think the body itself begins to close off the functions so that the pain itself is lessened. “I always felt for a long time as a pastor that it was more difficult for the people who watched a loved one die than it was for the loved one who was dying. But now I think the medical profession handles pain so much better than they did in the past, so that is not so much a big factor. Dr. Randy Fullerton, Job’s son-in-law, said the bishop “was ready to die.” Fullerton said the bishop had been under hospice care and died peacefully at his Brentwood home, surrounded by his family. He is survived by his widow, Beverly Ellerbeck Job, four children, and seven grandchildren. His children are Debbie, Philip and David Job, and Ann Job Fullerton. Job leaves behind a behind a legacy of writing of more than 20 books including, “Three Simple Rules: A Wesleyan Way of Living” published in 2007 that has sold more than 300,000 copies worldwide. “Thousands of churches and hundreds of thousands of individuals reclaimed the general rules of Do No Harm, Do Good and Stay in Love with God through the little brown book. He put the most foundational and profound into 10 words that we could understand and then spent a lifetime trying to achieve,” said Susan Salley, associate publisher of ministry resources at the United Methodist Publishing House. Salley worked with Job on “Living Fully, Dying Well” and “Three Simple Rules” in addition to other books published by Abingdon Press. Job’s commitment to spiritually was recognized by Garrett-Evangelical Theological Seminary in Evanston, Illinois, in 2010. The Rueben P. Job Endowed Chair in Spiritual Formation was one of the first chairs in spiritual formation among Protestant seminaries. Garrett Evangelical is one of 13 United Methodist schools of theology. Rueben Phillip Job was born Feb. 7, 1928, in Jamestown, North Dakota. He was raised on a farm and worked alongside his father until he received a “clear and urgent call” to ministry. He was licensed to preach in 1952, and ordained in the Dakota Conference of the Evangelical United Brethren Church in 1957. The EUB and the Methodist Church merged in 1968 to form The United Methodist Church. Job served as an Air Force chaplain from 1960 to ’62. He was also a district superintendent in South Dakota and pastor of churches in North and South Dakota. Job was elected to the episcopacy and assigned to the Iowa Area in 1984. He was world editor of The Upper Room devotional magazine and a staff member of the United Methodist Board of Discipleship. He served as president of United Methodist Communications Commission in 1988. During the 1985-88 quadrennium, he chaired the Hymnal Revision Committee culminating in the adoption of a new hymnal at the denomination’s 1988 General Conference. Mary Brooke Casad, former top executive of the denomination’s Connectional Table, worked on the committee with Job and remembers him introducing the hymnal to the worldwide conference. The United Methodist Hymnal is used by 97 percent of United Methodist congregations, Salley said. In a tribute to Job at the Publishing House, Salley ended a presentation with a quote from Job’s “Life Stories,” a book compiled for Garrett-Evangelical for establishing the chair. “While I retired from an appointed ministry many years ago, the call of God I sensed 65 years ago continues today. 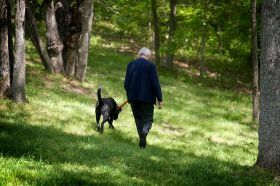 "I now believe that God calls and sends everyone who responds to the call of Jesus to ‘Follow me.’ Some may sense a call to a specific task or vocation. However, the highest calling anyone will ever receive comes first, ‘Follow me.’ When we say yes to that call we offer ourselves to God as completely as we are able and God accepts and blesses the offering we make in remarkable ways. Funeral arrangements are not complete, but the funeral will be at Belmont United Methodist Church in Nashville. Gilbert is a multimedia reporter for United Methodist News Service. Contact her at (615)742-5470 ornewsdesk@umcom.org.